Can Feló is in a privileged location. 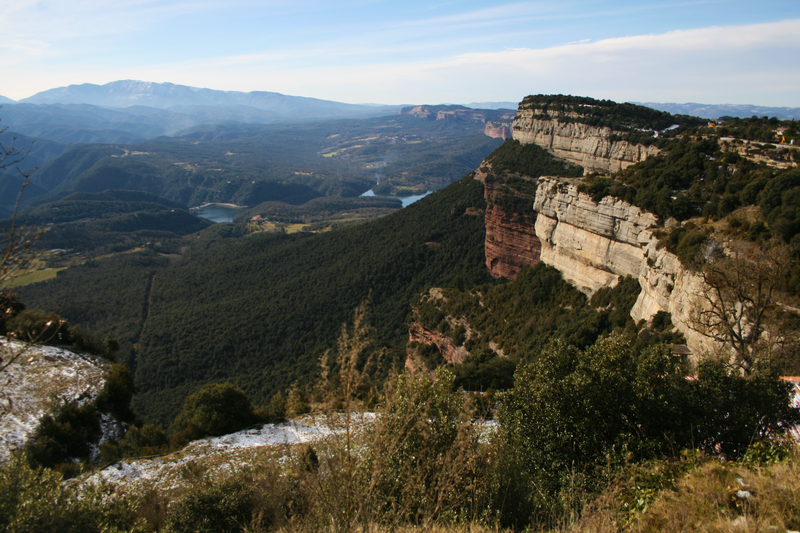 From the house and the garden you can enjoy one of the most beautiful landscape of Catalonia. In the foreground, we see the old village of Tavertet with its Romanesque church, with its apse is close to the impressive “Tavertet cliffs.” Looking from the garden you can enjoy a romantic view during the sunset, when the church is lighted up. The cliffs are a 200m large rock mass vertical walls. Its reddish, grey and ocher contrasts with the green forest and form a unique landscape of great beauty. 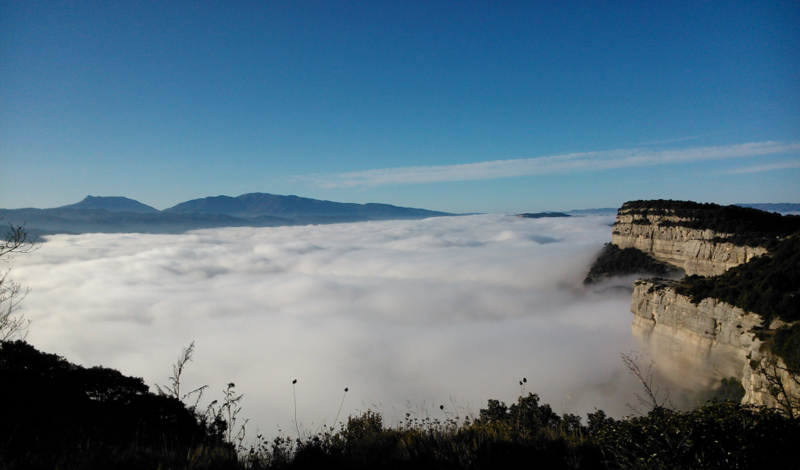 A sea of fog that spreads around the cliff in the morning creates a stunning landscape. Can Feló’s garden borders the cliffs, so to enjoy the fantastic views it has been created a 120 meters vantage point over protected along with a fence. In the valley, you also gaze at Sau, a vast expanse of mountains covered by a dense forest. On the horizon is seen the Montseny, El turo de l’Home, Les Agudes among other peaks. In the other direction, we can see different mountains and hills around Tavertet, and ultimately, during the clear days you even see Pyrenees Mountains with Pedraforca. Fragment of a television program called The favorite catalan landscape, TV3 - El Cabrarés Antoni Basses and Raimon Panikkar.